Congrats to MFA Industrial Design Students!! 2nd Year MFA Industrial Design graduate students Danielle Connelly, Sarah Templin, Gregory Beson, and Weiran Chen were one of five finalists in the Cradle to Cradle Product Design Challenge in partnership with Autodesk. 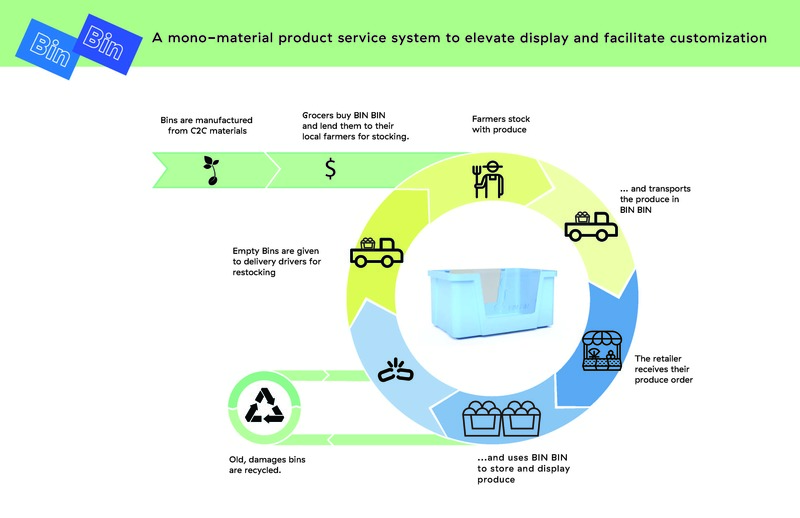 Their project BinBin proposes a produce bin system which combines the lightweight convenience of cardboard produce boxes with the durability and utility of plastic bins into a highly flexible plant-based plastic bin.